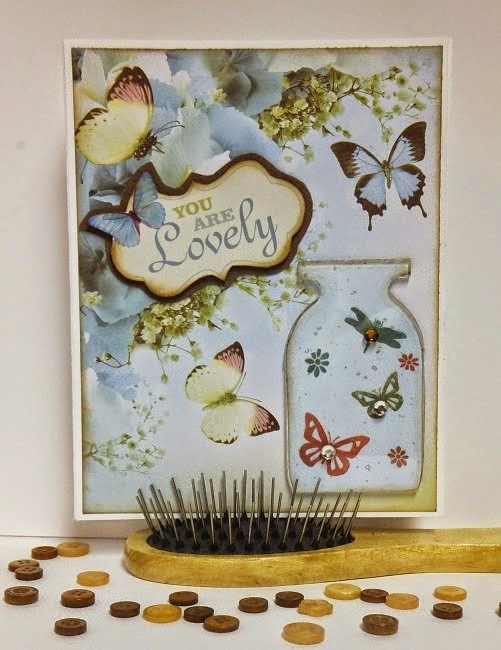 I'm very anxious to show this gorgeous card created by Design Team member Bev Code. Such peaceful and serene colors. And our acrylic glass jar embellishment is the perfect addition. So I'll let Bev give you all the details of the cards below. 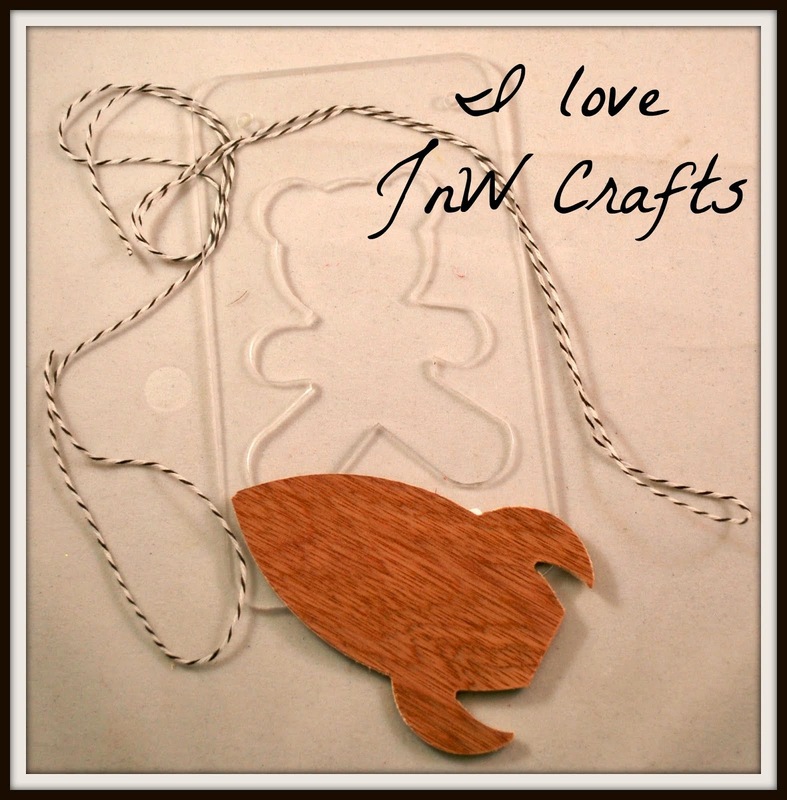 Hi.. back again with another new product from JnW Crafts. It's the Glass Jar. 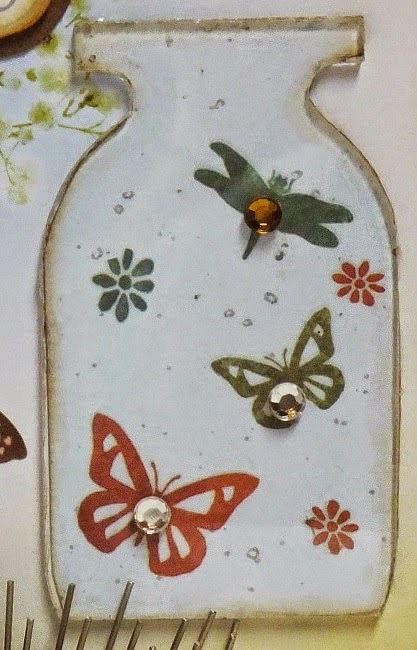 On this card I started with the Paper House Paper and made sure there was room on the fun floral and butterfly paper to add the acrylic jar piece and still add some fun rub-on butterflies and flowers behind it. I added the matted and layered sentiment, inked the edges and it was done. In this close, up you can see the rub-ons behind the acrylic but then on top of it and positioned on top of butterflies I added some gem stones. Adds depth and texture to my card. Thanks for visiting today... be sure to visit again. I have some fabulous ideas to share with you soon.